Understand what the Stage is and which properties you can change. Background Color: Modify the color of the Stage. Click the white square to change the Stage color and a color chart will appear. Select a new color and just click in an empty area to close the color panel. 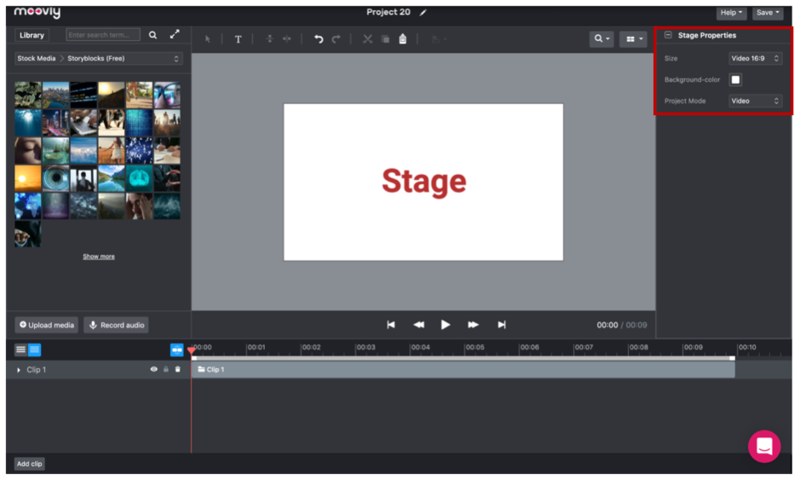 Project Mode: Here you can choose to either make a video or a presentation. There is also an easy to use slide-bar underneath the stage where you can grab the edges and zoom in and out of the timeline. 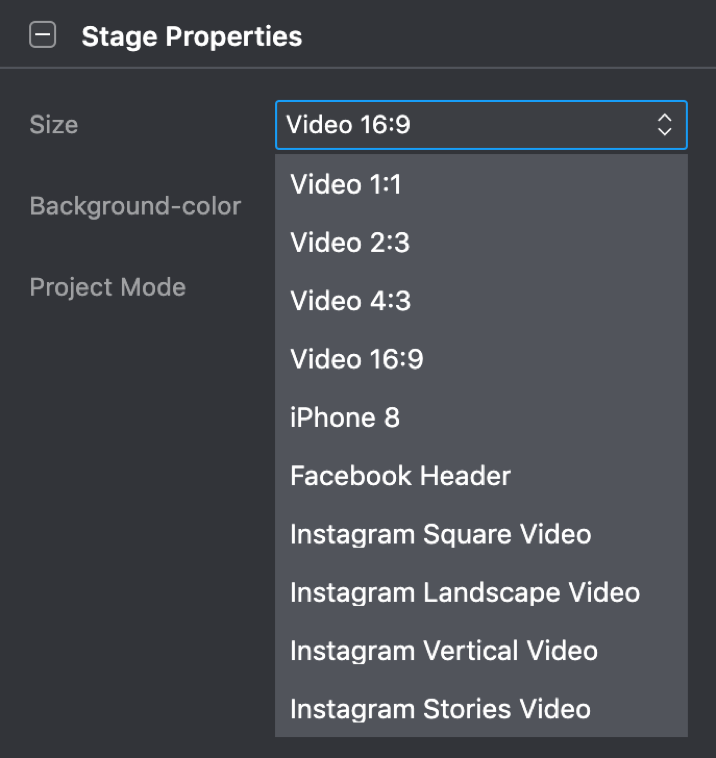 Finally, you can also rearrange the size of the different panels of the Studio editor for a better view of the Stage, Libraries or Timeline. How to align objects with each other? How to work with Text? How to cut, copy and paste objects? How to cut, copy and paste Clips? How to rearrange the Studio editor?